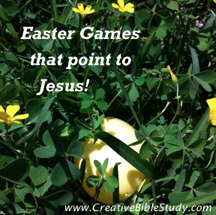 An Easter quiz game is a fun activity to be used to remind us of so many facts about Easter and its true importance in our lives! Use this for a fun family Easter activity discussion or Sunday School review quiz. This can become a yearly challenge to learn more of what the Bible says for kids, youth and adults. There are many ways to use this Easter quiz. Because the questions are divided by difficulty, you can use it with a variety of ages. 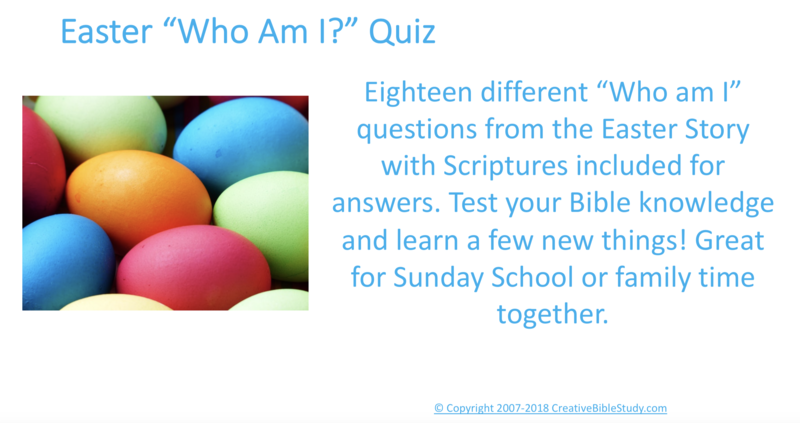 You may want to print the "question eggs", cut them apart and place in a basket on your table for a fun mealtime discussion and look up the answers as a family for a fun Easter family devotion or worship time. It can also be used with your small group at church as an Easter quiz challenge review or as a full Easter Bible lesson as you work your way through the various Bible verses and discuss. 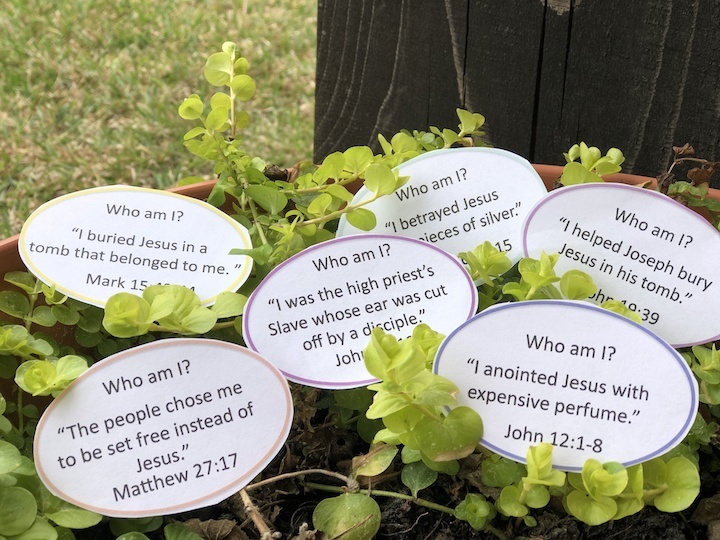 Take time to think about each person represented in the Easter story remembering they were real people who lived and experienced emotions and thoughts. Or use it as a fun Easter game keeping points with the following game rules. A printable set of rules and Easter quiz questions are available to print at the end. However you choose to use the Easter quiz, finally ask the final question to emphasize that the most important "I AM" of Easter is Jesus. I paid the ultimate price, died for your sin and rose from the grave because I love you! Divide group into teams of 2-4 people. Give each team something to write with and a stack of index cards or sheets of paper cut into 3”x5” strips. 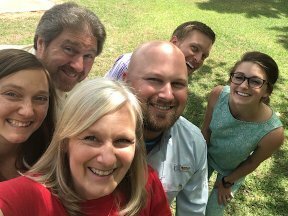 As a question is asked give each team 30 seconds to write their answer on a card; they may talk among their team and/or look up the Bible reference to decide on the answer. When time is up, have the teams turn their answers over. If the answer is correct they get the number of points assigned to the question. If none are correct give them the verse reference where it is found, and the first team that finds the answer gets the points.